Over 35 years of experience in all types of removables and specializing in implant restorations, including immediate loads, has enabled us to provide the highest quality of restoration for you and your patient. 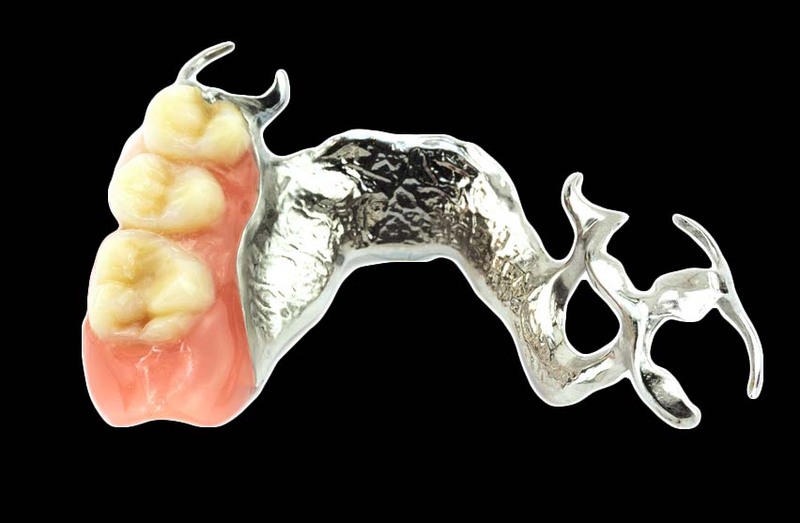 Removable dentures, implant supported dentures and cast partials must be functional, esthetic, and comfortable. Utilizing only superior product materials available to lab professionals ensures no compromise has been met on your restoration. We are proficient in all implant systems and invite you to call or visit our lab at any time. Valplast® Flexi Partial: Nylon thermoplastic flexible material. This metal free restoration offers esthetics and comfort. Valplast® is a perfect choice for patients that are partially edentulous where any cast partial application is indicated or patient is sensitive to metal. No tooth or tissue prep is needed. Valplast® is more durable than acrylic and will not stain or absorb odors. Patients love the comfort and durability of this long term restoration.